A new competition has launched aimed at showcasing additive free food products and restaurants in Asia-Pacific region. The Anti Additive Tasty Award is inviting applications from participant from cities all over the world, including Bangkok, Hong Kong, Seoul, Sydney and Tokyo. A panel of jurors from industry, academia, Michelin star chefs, nutritionists, dietitians, professors and food editors will select the winners from all less-additive qualified entries. Judging criteria included the presentation, taste, production and the cooking process of the meal or product. The Park Hyatt, The Dining Room was a winner in last year’s Additive Awards. The Anti Additive Association launched its Anti Additive Awards last year to reward restaurants and small businesses for their dedication to producing additive-free food in their market. Australian winners included ARIA, QUAY, 117 Dining, The Intercontinental and Café Sydney and manufacturers such as Noshu, Pure Life Bakery and Spice Vine. 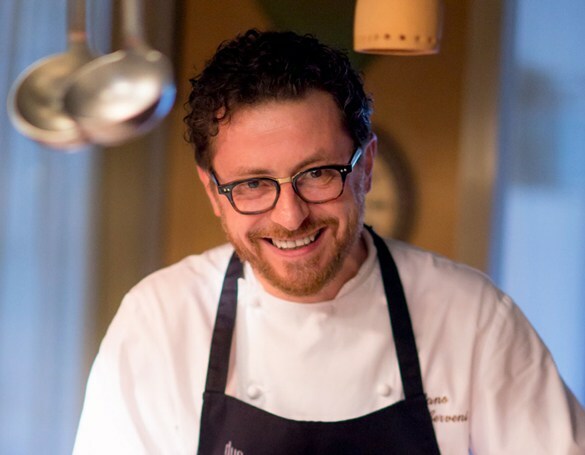 Stefano Cerveni, head chef at Due Colombe in Italy, is an advocate for additive free food. Entries are open until November 30.